The role of the internet in facilitating and expanding the networks of communication that connect humanity together is undeniable. 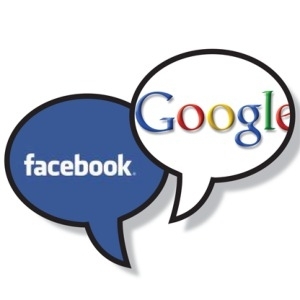 Even if fostered by primarily capitalist concerns, Google and Facebook, the two poster-children of the digital age, want everyone connected to the internet. “Google wants to bring Internet to people who don’t have it using high-altitude balloons…the tech giant has finally started a manufacturing system able to create thousands of balloons in a short amount of time, a mission control to track the balloons, and an operations teams that could launch every piece and identify where it’s going down,” one website reports on Google’s Project Loon (Google Scales up Project Loon to Bring Internet Access to Everyone). Facebook launched a similar initiative called Internet.org, where its founder proudly announced the success of its own project: Mark Zuckerberg let it be known in a Facebook post that, with this expansion, Internet.org is now available to over 1 billion people around the globe. “Giving people free access is the right thing to do…We will keep connecting more people and more countries, and we won’t stop until every person in the world can connect to the internet” (Facebook’s Free Internet Service Expands to Malawi). The provision of internet and connectivity services to the world’s population obviously has positive effects for democratization: as a forum for the sharing and discussion of information, democracy can only be strengthened as people exchange information in the free market of ideas on a global scale. And the role of social media as an avenue for mobilization and collective action, particularly in the much-vaunted Arab Spring, has also earned the internet much praise from the Western intelligentsia for its democratizing agency. However, the cheerleaders and service providers of a worldwide internet network fail to address the other side of the token: an oppressive system of surveillance and privacy intrusions by state governments and agencies. Although the internet and social media has lowered the barriers of collective action and mobilization, the process has been simultaneously met with greater state repression via official propaganda efforts to maintain its own grip on political discourse. Even the so-called champions of the free flow of information such as Google and Facebook, among numerous other proponents of the internet, have been shown to be willing participants to state surveillance of the world population (as uncovered in the National Security Agency-NSA revelations), thus making the internet simply the latest frontier of ideological and political policing of the world populace, and not as its promised messiah. Even though the Internet.org project is a recent innovation of Facebook (the world’s premier social networking website already claims 1.44 billion active monthly users) it has already caught the attention of numerous digital rights agencies around the world for its violations and neglect of basic online privacy. On top of that, the current implementation of Internet.org prohibits the use of basic web encryption such as SSL or TLS. “This inherently puts users at risk, because their web traffic will be vulnerable to malicious attacks and government eavesdropping (Facebook criticised for creating ‘two tier internet’ with Internet.org programme). Although Google’s startup has not attracted the same level of criticism, the nature of its project poses the same security and privacy concerns. The NSA revelations confirmed that private companies with access to a bewildering amount of personal information of its massive user-base are colluding with American intelligence agencies (of whom Google and Facebook were a few among many). Although the impact of this discovery did not elicit significant concern from users, world governments, especially those in antagonistic relationships with the US, became increasingly wary of the already distrusted technology. The Washington Post recently reported that, “The Iranian government, determined to limit Western influence and defend itself against cyberattacks, appears to have laid the technical foundations for a national online network that would be detached from the Internet and permit tighter control over the flow of information (Iran Preparing Internal Version of Internet). “Multinational companies are also alarmed by the growing online constraints. Especially worrisome, they say, are new regulations that would force foreign technology and telecom companies to give the government “back doors” to their hardware and software and require them to store data within China…[It is] Beijing’s strident campaign against the “hostile foreign forces” it says are seeking to undermine the country through the Internet” (China Further Tightens Grip on the Internet). Even Pakistan’s Inter-Services Intelligence (ISI) got in on the game by building a massive underwater surveillance network that would, according to published reports, rival America’s capability of digital espionage. These reports merely confirm that instead of informing and changing social discourse in traditional avenues of collective mobilization, the internet is subject to the same restrictions of repression and state surveillance as those it seeks to liberate. Although the internet and social media continue to be promising outlets for airing grievances and political and social discourse, displaying great potential for the viability of new social movements, their capacity to become a revolutionary medium remains untested, and perhaps due to their immaterial nature, exaggerated. Facebook and Google may allow us to remain updated on breaking news right down to the second, but they are a long way before becoming Tianenmen or even Tahrir Square, let alone the Storming of the Bastille that the armchair revolutionaries would contend them to be.